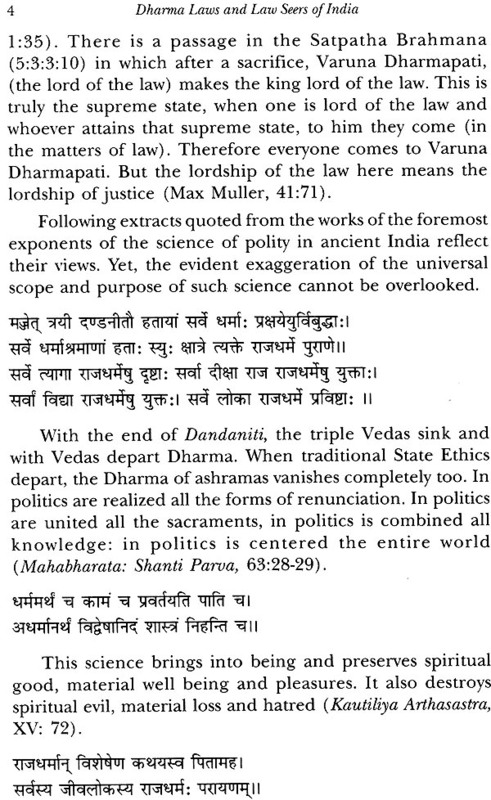 The book provides a synoptic overview of the sacred literature that constitutes the foundation of Dharma (or the law as we know it in the contemporary context) and seers who have shaped this corpus. The notion of Dharma is extraordinarily vast. 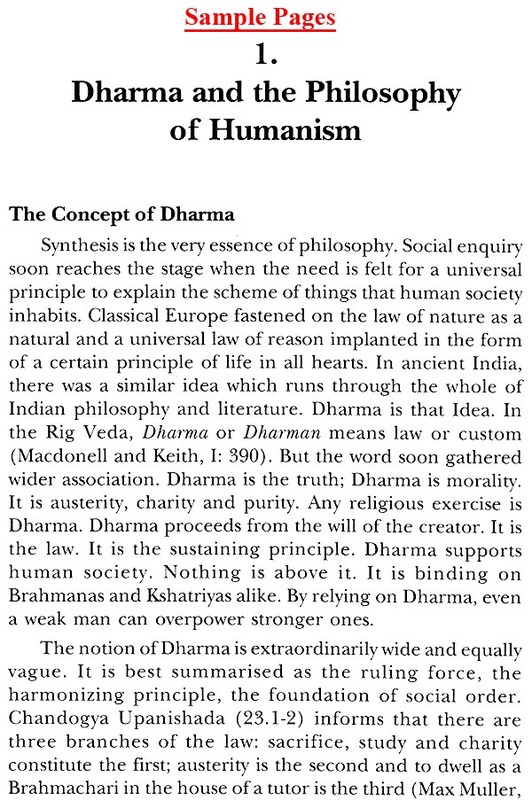 It is best summarized as the ruling force, the harmonizing principle and the foundation of social order in India. Conceptualized as a normative frame to conduct day to day life, dharma is both the goal of life and the core value for organizing one's behaviour. Dharma includes law and morals, service and sacrifice to Gods, obedience to state as well as love of family and the purity of social life. 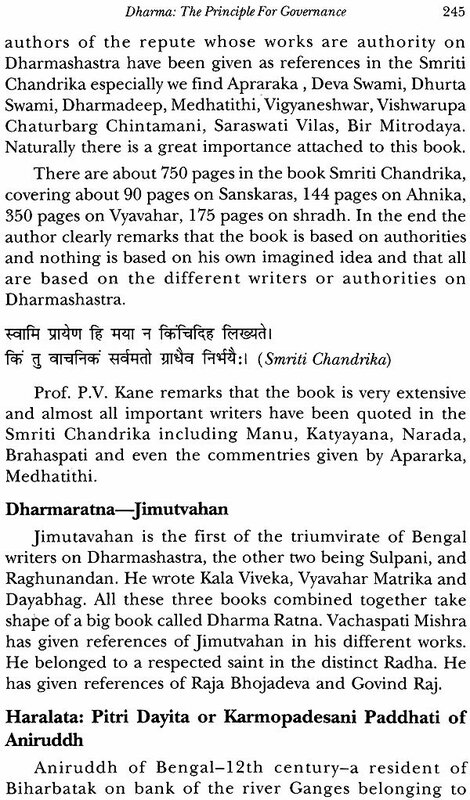 The book deals with various aspects of Dharma including its meaning, foundational principles as well as goals, relationship between dharma and Dandaniti along with the manner in which it worked in and through Vidyasthana(abode of knowledge) and Dharmasthana( abode of Dharma). Dr. Ushakar Jha (13 April 1938-20 June 2006) was a Professor of Political Science. Born and brought up in Sarisab Pahi, Bihar he completed his education from Patna College and Patna University. An excellent teacher loved by his students and academic fraternity, he spent most of his life in Chandradhari Mithila College and Lalit Narayan Mithila University, Darbhanga. As a respected academician, administrator and a committed intellectual, Dr. Ushakar Jha possessed catholic taste for reading books in particular and also for his approach to life in general. He was widely a travelled man and had made presentations as well as chaired sessions at major academic platforms in the field of Political Science which include conferences of the International Political Science Association held at Washington and Paris. 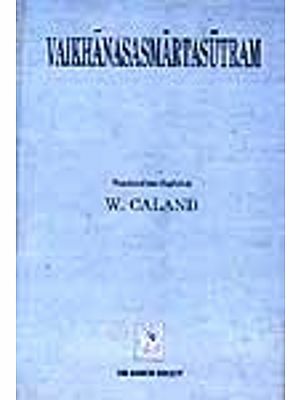 This book is a testimony of his wide intellectual canvas as well as his open mind that neither hesitated to welcome ideas nor faltered even once to judge them critically. Following his retirement, he moved back to his village Sarisab Pahi where he died in 2006. Three religions of the contemporary world have come down to us from pre-historic times. These are Hinduism, Zoroastrianism and Judaism. In the course of their long history, they have received tremendous shocks and all of them prove their survival by their internal strength. However, Judaism failed to absorb Christianity and was driven out of its place of birth by its all-conquering daughter. 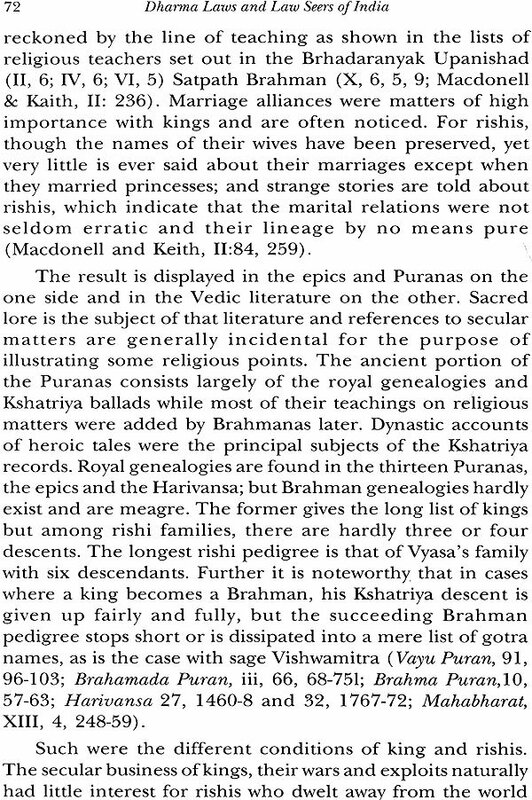 A handful of Parsees is all that remains to tell the tale of their grand religion. In India, sect after sect arose and seemed to shake the religion of the Vedas to its very foundation. But, like the waters of the seashore in a tremendous earthquake it receded only for a while, only to return in an all-absorbing flood, a thousand times more vigorous. When the tumult of the rush was over, these sects were all sucked in, absorbed and assimilated into the immense body of the mother faith (Vivekananda, 1:6). 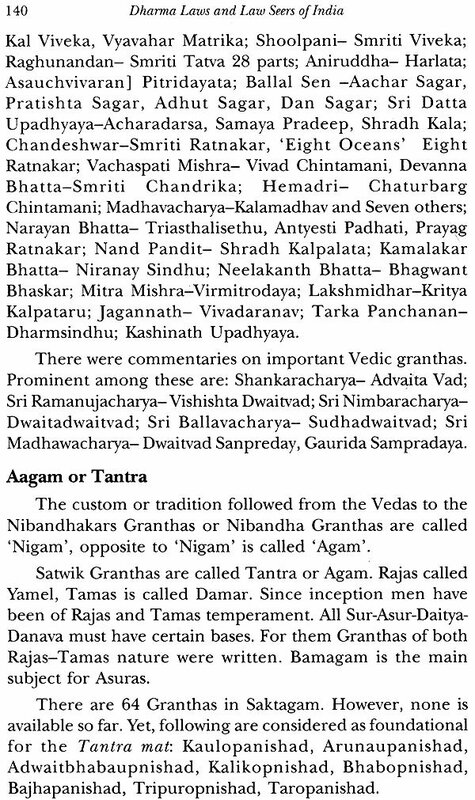 The Hindus have received their religion through revelation in the form the Vedas. 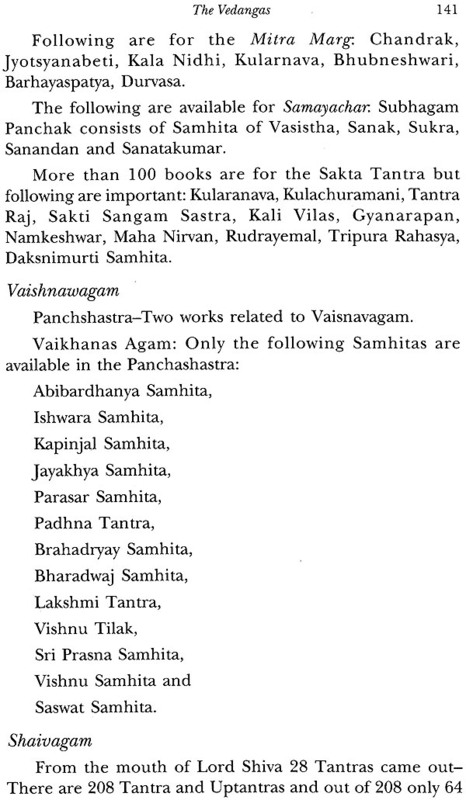 They hold that the Vedas are without any beginning or an end. By the Vedas, no books are meant. They mean the accumulated treasure of spiritual laws discovered by different people at different times. Just as the law of gravitation existed before its discovery, and Dharma Laws and Law Seers of India would continue to exist even after humanity becomes forgetful of this law, so is the case with the laws that govern the spiritual world. The moral, ethical and spiritual relation between soul and soul and between individual spirits and father of all spirits was there before their discoveries, and would remain irrespective of whether we remember or forget them. The discoverers of these laws are called Rishis and we honour them as perfect beings. Hindus believe that God is a spirit. Him, the sword cannot pierce. Him, the fire cannot burn. Him, the water cannot melt. Him, the air cannot dry. Hindus believe that every soul is a circle whose circumference is nowhere. But whose centre is located in the body. Death means the change of this centre from body to body. Here, the soul is not bound by the conditions of matter. In its very essence, it is free, unbounded, holy, pure and perfect. But somehow or the other, it finds itself tied down to matter, and thinks of itself as matter (Vivekanand, 1:9). It is not that the Vedas proclaim a dreadful combination of unforgiving laws. Not an endless prison of cause and effect either but that which is placed at the head of all these laws. In and through every particle of matter and force, stands one 'by whose command the wind blows, the fire burns, the clouds rain, and death stalks upon the earth'. And what is His nature? He is everywhere, the pure and formless one, the almighty and all-merciful. 'Thou art our father, thou art our mother, thou art our beloved friend, and thou art the source of all strength: give us strength. Thou art He that beareth the burdens of the universe; help me bear the little burden of this life' ... 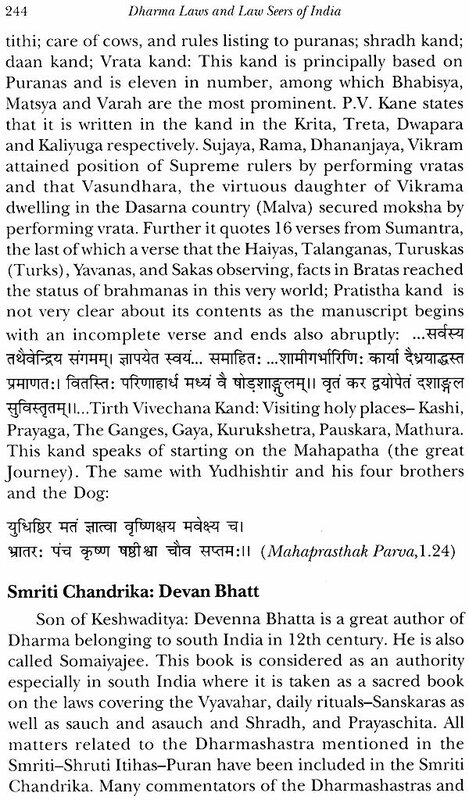 Thus sang the Rishis of the Vedas. And how to worship Him? Through love. 'He is to be worshipped as the one beloved, dearer than everything in this and the next life' (Vivekananda, 1:9). It is the same light coming through glasses of different colours. And these little variations are necessary for the purpose of adaptation. But in the heart of everything the same truth reigns. The lord has declared to the universe in His incarnation as Krishna, 'I am in every religion as the thread through a string of pearls. Wherever, thou seest extraordinary holiness and extraordinary power rising and purifying humanity, know thou that I am there.' In religion there is no caste; caste is simply a social institution. The relation between Hinduism (by Hinduism, Swami Vivekananda means the religion of the Vedas) and what is called Buddhism in the present day is nearly the same as the relation between Judaism and Christianity. Whatever be the position of philosophy, whatever may be the position of metaphysics, as long as there is such a thing as death in the world, so long as there is such a thing as weakness in the human heart, so long as there is a cry going out of the heart of man in his very weakness, there shall be faith in the God. On the philosophic side, the disciples of the great master dashed themselves against the eternal rocks of the Vedas and could not crush them and on the other side they took away from the nation that eternal God to which every man and woman clung so fondly. And, the result was that Buddhism had to die a natural death in India, the land of its birth. Buddhism lost its reforming zeal, that wonderful sympathy and charity for everybody, that wonderful heaven which Buddhism had brought to the masses and which had rendered Indian society so great that a Greek historian who wrote about India of that time was led to say that no Hindu was known to tell an untruth and no Hindu woman was known to be unchaste. He further elaborated, "Hinduism cannot live without Buddhism, nor can Buddhism without Hinduism. Then a realization dawns upon us that the Buddhists cannot stand without the brain and philosophy of the Brahmins, nor the Brahmins without the heart of the Buddhists. 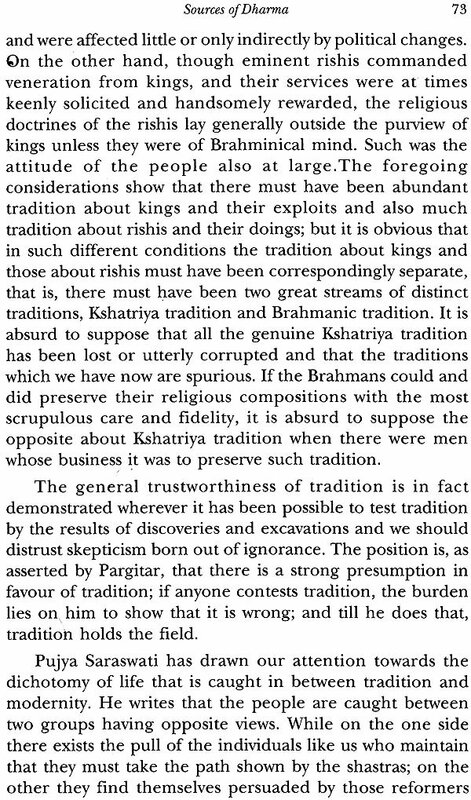 This separation between the Buddhists and the Brahmins is the cause of the downfall of India. Let us then join the wonderful intellect Dharma Laws and Law Seers of India of the Brahmin with the heart, the noble soul, and the wonderful humanising power of the great master because they base their philosophy on the Dharma" (Vivekananda, 1:43) . The east with its swarming hordes is living a listless life from century to century; the west is with its energetic individualistic impulses, but without any consistent philosophy of civilization. They meet each other. This collision threatens to accentuate the reactionary forces to strengthen autocracy and brute forces to weaken everything that bases itself on reason, reflection and individual rights. While some presaging spirits cherish the hope that eastern thought will yield a harmonising principle to the life of the west, others abandon themselves to the fear that the world is destined to be driven back into another period of darkness in which intelligence will slumber and brute force reign supreme. 'Ideas rule the world' is a phrase coined in the west, but its truth is felt more keenly by eastern than by western minds. For in the east, ideas dominate 0 much that the impractical ones often become the most fascinating. Today, however, in India, practicality is gaining ground and germinating thoughts are taking shape which will rule not only the imagination but the actions of the new generations. The birth is being witnessed of what has been called New India. We experience a unique coming together of ideas and practices, non-worldly and material, practical and impractical. In this new India, it was my heartfelt curiosity that has enabled me to put before you a humble submission in the form of a book. The purpose is to quench the thirst of people like me in the new millennium, an era that is destined to witness vasudhaiva kutumbakam- converting the world as one Family.